According to Psychiatric News of 2/5/2010, a study from Arkansas Medicaid showed an explosion of prescriptions from 2001 to 2005 for potentially highly-toxic "atypical," brand-named antipsychotic medications given to non-psychotic children . Almost half of these prescriptions were given to children diagnosed with conditions for which there is not a single published clinical trial that supports the drugs' effectiveness: ADHD, depression, conduct disorder, oppositional defiant disorder, and adjustment reactions. I suspect that many of the rest were misdiagnosed as bipolar disorder, for which the drugs are in fact indicated, based on specious diagnostic criteria. This situation is not unique to Arkansas by any means. I have been seeing it here in Memphis and hearing about it from people and psychiatrists all over the country. Agitation, temper tantrums, and acting out have been fraudulently re-labeled as “mood swings.” In my opinion, these drugs are given to children to quiet them down and shut them up so they do not cause distress to their clueless parents and their overwhelmed teachers. The explosion of the use of these medications in children is an extension of a trend that began in the psychiatric treatment of adults about 15 years ago. I treat patients with personality disorders and also supervise residents as they do initial evaluations in our outpatient clinic. Patient after patient who arrives with an obvious personality disorder, and who comes from highly chaotic dysfunctional family systems,has carried a previous diagnosis of bipolar disorder. For the vast majority, there is not a shred of evidence that they ever even came close to meeting the well-accepted criteria for bipolar disorder. Many others were actively using cocaine or methamphetamines at the time of their earlier diagnosis, the use of which can mimic mania. In two prior posts, I discussed some of the deceptive marketing tactics used by Pfizer and Eli Lilly to market their drugs for off-label (non-FDA-approved) purposes, and to balloon the definition of certain psychiatric disorders. These techniques were well documented and became public as a result of settlements with the U.S. Department of Justice. January, 2009: Eli Lilly pays a settlement to the DOJ of $1.4 billion for concealing side effects and off-label marketing of Zyprexa just as their biggest seller, Prozac was about to go off patent in 2001. September, 2009: Pfizer agrees to a settlement for $2.3 billion for off label marketing of several drugs including the atypical anti-psychotic Geodon. To complete a perfect trifecta, I now briefly turn to a third example. In May, 2004, Warner-Lambert agreed to plead guilty and pay more than $430 million to resolve criminal charges and civil liabilities in connection with its Parke-Davis division’s illegal and fraudulent promotion of its anti-convulsant drug Neurontin. One of the many uses that was touted for this alleged wonder drug was for bipolar disorder. The reasoning went sort of like this: If some anti-convulsants like Depakote and Tegretol are effective in bipolar disorder, then they all must be. (We are hearing something similar about another one, Topamax, although that one may conceivably pan out). Of course, that is an illogical and invalid conclusion. It is also noteworthy than benzodiazepines like Valium and Klonopin are very effective anti-convulsants - in fact epilepsy was the initial FDA-approved indication for Klonopin - but no one seems to pushing the idea that benzo's are effective in bipolar disorder. They are generic! Actually, studies later indicated Neruontin was in fact completely ineffective for bipolar disorder. Nonetheless, the existence of those studies has not stopped psychiatrists from continuing to use it, because clinically they see "results." The results they are seeing, however, have nothing to do with bipolar disorder. Neurontin is sedating. In fact, one of its main actions in the brain is to affect the neurotransmitter GABA, the very same neurotransmitter affected by benzodiazepines. Therefore, if you give it to a chronically agitated, moody patient whom you misdiagnose as bipolar, it seems to calm them down. Presto change-o, the drug "works." Of course, after a while, the sedative effect is reduced and Neurontin does not work so well any more, but hey, who said anything about actually following these patients closely and asking a bunch of probing questions? In February's Archives of General Psychiatry (Vol 67, 2010, pp. 113-123) there are two articles from the same study (Green et. al. ; Mclaughlin et. al.) 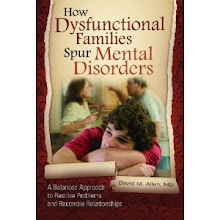 adding new "proof" to what we already know about how maladaptive family functioning (parental mental illness, parental substance abuse, criminal behavior, domestic violence, physical and abuse sexual abuse, and neglect) are major risk factors for a host of mental disorders. They do not even include personality disorders in the studies. Really, the papers should have been published in one of my two favorite journals that specialize in papers that prove what any halfway-observant person already knows: Duh! and No ----, Sherlock. There have been many earlier articles showing that certain types of family problems such as child sexual abuse are risk factors for certain disorders. Most of them show positive correlations. These new studies upped the ante by looking at multiple forms of childhood adversity and many different disorders. (We already knew that these adversity types are pretty non-specific and are risk factors for many different disorders- this was confirmed in the new articles). In the first article, in a survey of over 9200 subjects, the authors found that the different types of childhood adversities were highly correlated. This means that if you have been exposed to, say, domestic violence, the chances are excellent that you also have other adversities as well. Multiple adversities was the norm. The higher the count, the more likely an individual was to have the various mental disorders that they looked at, although the increase in the strength of the association was smaller with each additional exposure. By the way, the authors did not look at the severity of the traumas or how long they went on, which would be expected to be additional factors. In the second article, maladaptive family functioning was also associated with the persistence of the individual mental disorders with which they correlated. This effect was NOT seen with other childhood adversities such as childhood financial adversity or parental divorce. The drug rep from Astra Zeneca was in the University of Tennessee Department of Psychiatry office area today. In my mailbox, and in the mailboxes of all of the psychiatry residents (MD's in specialty training) was a free book. It was entitled, "Bipolar Disorder: Disease Management Guide." Funny thing, there is no mention anywhere in this book of good old cheap, generic lithium, which is far and away the drug of choice for treating bipolar disorder. There was also no mention of the third choice, Tegretol, nor the fourth, Trileptal, nor "typical" (old and generic) anti-psychotic drugs - only information about brand-named atypical antipsychotic meds, Depakote ER, and Lamictal. What is not discussed in this rather selective "guide" is of course entirely unsurprising. At least our residents have me to point out what this means. The book also mentions the importance of screening patients for "subthreshold" presentations of the disorder, as well as for the diagnosis of "Bipolar NOS" (not otherwise specified). The book specifies that patients who have the latter diagnosis have hypomanic episodes that may last for only a few hours. Naturally, there is no mention of agitated depression, anxiety, interpersonal discord, or of the affective (emotional)instability characteristic of borderline personality disorder. The existence of manic or depressive episodes that do not have to last for any significant amount of time is the party line for those drug company shills pushing for the diagnoses of pediatric (child) bipolar disorder, and "bipolar spectrum" in adults, which I like to refer to as B.S. Let's medicate everyone with expensive, potentially toxic atypical antipsychotic drugs! After all, who among us has never had a mood swing? If you try to fail and succeed in doing so, which have you done? Marsha Linehan is the current high guru in the community of therapists who treat Borderline Personality Disorder (BPD). Her "Dialectical Behavior Therapy" or DBT is touted as the most "empirically-validated" of all psychotherapy treatments for BPD. This claim is wildly overblown, as DBT is only empirically validated for the treatment of one symptom of BPD called parasuicidality. Parasuicidality includes suicide attempts as well as non-suicidal self-injurious behavior (SIB) such as cutting or burning oneself. Even improvement in that symptom seems to dissipate after two years in her studies. Patients in DBT are also hospitalized less that other BPD patients, but that is probably because DBT therapists will not hospitalize a BPD patient under most circumstances when other types of therapist might. Another bone I have to pick with Dr. Linehan is the idea of hers that BPD patients show "apparent competence." What this means is that BPD patients often appear to have very good social skills, but they often do not seem to be able to use in emotionally-charged situations. Apparently, Dr. Linehan thinks that BPD patients do not really have these social skills, so the skills must be taught to them in her skills groups. Patients in DBT have to attend these groups in addition to individual psychotherapy. My question is this: How can you demonstrate a competency that you do not have through repeated performance? Oh, you might fool someone once or twice, but BPD patients can demonstrate social skills over and over again. In fact, they are excellent judges of character, and can determine another person's vulnerabilities quicker than almost anyone else, in order to provoke from another person any reaction they want. They are well known to be master manipulators. How can they do that if they lack social skills? This question also brings into question their often-seen tendency to "split," or act as if they think people are either all good or all bad. Supposedly they can not "integrate" good and bad images of others, but more on that in a future post. I think it more likely that they have the compentencies in question, but are choosing not to use them in certain situations. It is far simpler to fake incompetency than competency. Some readers may have seen the movie "The Killing Fields" about the genocide in Cambodia. The Khmer Rouge killed anyone with an education. In the true story portrayed in the movie, a physician survives by pretending to be an illiterate peasant. In this case, acting as if he were incompetent was the most competent thing he could have done. Joseph Biederman is the Harvard Psychiatrist who has been pushing the diagnosis of "pediatric bipolar disorder." He also advocates the use of potentially toxic brand-named antipsychotic and mood stabilizing drugs for children who display symptoms of this alleged condition, because Lithium tends to not work in this population. That could be because these children are not bipolar to begin with. According to the New York Times, drug companies paid Dr. Biederman at least $1.6 million in consulting fees from 2000 to 2007, but for years he did not report much of this income to university officials, according to information given Congressional investigators. 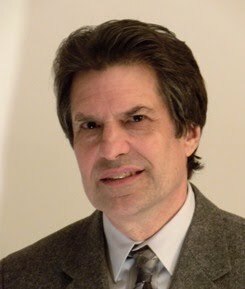 Biederman argues against the use of any duration criteria for manic or depressive episodes in these so-called bipolar children. In the current DSM, hypomania - a mild form of mania - must be present constantly for at least four days, and a full-blown manic episode has to last seven. Although these time lengths are obviously arbitrary, they were put in the DSM so psychiatrists would not label normal mood reactivity as being due to bipolar disorder. The folks writing the DSM-V are somewhat concerned about the widespread adoption of this ridiculous idea by doctors who only dispense drugs and do no psychotherapy, so they decided they might come up with a whole new mental disorder, discussed in an earlier post, called "temper dysregulation disorder." Actually, children do not have to have any biogenetic disorder in order to display frequent temper tantrums. We used to call such behavior acting out. 1. 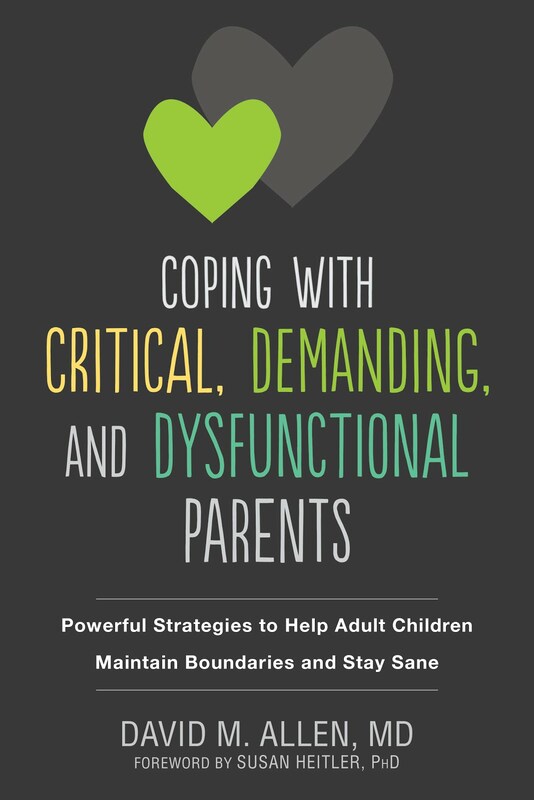 Start with one parent who constantly tells a child to do or not to do something, but always caves in so the child always disobeys and always does whatever he or she wants to do. 2. Add in the other parent yelling and screaming at the child about this, but still allowing the child to do whatever he or she wants to do. 3. Stir up the mix by having the parents criticize one another’s parenting in front of the child and blame one another for the child’s behavior. 1. Add parents who start blaming the child in addition to each other for all of the family problems, but still let the child always get his or her way. 2. Have the whole family invalidate what the child says and does as much as possible. 3. Have parents vascillate between hostile overinvolvement and hostile underinvolvement. Optional: If a severe case is desired: add in neglect and/or physical and/or sexual abuse of the child. One has to keep in mind that if parents who usually act this way somehow listen to advice and stop it, the child’s behavior will get worse before it gets better. Furthermore, if the parents occasionally lapse back in to old habits, the child’s misbehavior will continue on even longer before it stops. This is due to something behaviorists call a variable intermittent reinforcement schedule. The child will keep testing the parents to see if they will revert to prior practices. This diagnostic category is crazy, and would only help those parents who want to avoid looking at their own behavior and its effect on their children and to avoid taking responsibility for it. There is not one shred of respectable scientific evidence that having frequent temper tantrums is a psychiatric disorder (let alone having three per week), and a world of evidence that shows that in a neurologically intact child with a normal IQ it is triggered by parental inconsistency in discipline. If any psychiatrist is so sheltered he has never personally witnessed a family behave this way, he can watch a very accurate portrayal of it on the TV show "Supernanny." You can also read about it in John Rosemond's nationally syndicated parenting advice newspaper column. The idea that this "diagnosis" will help doctors avoid labeling acting-out children as bipolar is not a good reason for such deception. The people pushing the idea of manic children do not believe that a manic episode requires ANY duration. A few minutes for them is enough. The children and the families in their studies are never observed in their homes during troublesome interactions. The "experts" make diagnoses using symptom checklists that do not take in to account the context, pervasiveness, and exact time course of the symptoms. They recruit subjects from a website called bpkids.org that has a message boards in which parents advise each other on what to say and what not to say to doctors to get their kids diagnosed as bipolar. Some have been paid large sums by pharmaceutical companies which were not disclosed to their university.